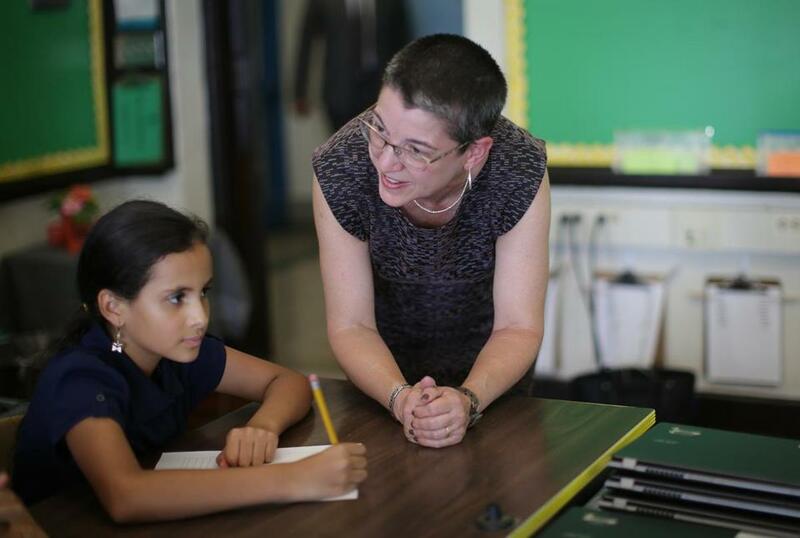 Interim schools superintendent Laura Perille with student Yenny Arango at the Samuel Adams Elementary School in East Boston on Sept. 9. Last summer I was asked to serve as interim superintendent of the Boston Public Schools, a position I never sought nor expected to hold. As a long-time educational advocate and parent of two BPS graduates, I knew firsthand the unyielding dedication exhibited by BPS educators. In just under four months, I have been impressed and inspired by the tirelessness exhibited by school-based and central office staff whose professional lives are dedicated to BPS students. From the time of my appointment it has been readily apparent that there are some difficult choices that will need to be made about the future of our schools. Fulfilling the responsibilities entrusted to me will require a relentless focus that is free from both perceptions of self-interest and unnecessary distractions. For these reasons, I will not be submitting my name as a candidate in the superintendent search process. Making a meaningful contribution to BPS is well worth having the word “interim” on my nameplate. I join others in urging the Boston School Committee to conduct a full and thoughtful search process to find Boston’s next educational leader. BPS has a singular mission to advance the interests of our city’s children. Leading this work requires an understanding of the history that brought us to where we are, an appreciation for where we need to go, and the sense of urgency necessary to get there. The state’s recent release of achievement data makes clear the countless success stories happening across BPS, including the removal of the “turnaround school” designation from the Winthrop School and the naming of the Manning and Winship Schools as two of just 52 “Schools of Recognition” in the Commonwealth. These successes illustrate what is possible and embody the fierce commitment to Boston’s children that I see every day in each of the BPS schools I visit. Despite clear progress at many schools, it is equally evident that there is more work to be done to fulfill our obligations to our students and their families. We have critical business to do: to position BPS to maximize support for individual school communities, address concerns over how our high schools serve our more vulnerable learners, and respond to distressing student achievement data in science, to name a few. This is the work that I am prepared to do in order for my successor to be successful. My contributions will be in the cultivation of the conditions necessary for continuous progress and a willingness to make those difficult decisions on behalf of students. Educational politics are of little interest to our 57,000 students, but whether we institute systemic practices to improve opportunities and close achievement gaps is of paramount importance. To make progress on this front, we will look closely at the needs of individual schools and determine how best to marshal the resources necessary to support them. In the coming days, I will articulate how BPS will capitalize on the unprecedented commitment to public education that Mayor Martin J. Walsh has made through the BuildBPS initiative. This infrastructure investment program will address the future shape of our district — not just with new and expanded buildings, but also with pathways and programs for students in response to what currently amounts to nothing short of an equity emergency. This ambitious work may at times require unpopular decisions. Yet in a district where 65 percent of our buildings were constructed before World War II, we must put student interests before adult preferences. If we do this, BPS will be a better school system, and Boston will be a better city. The opposition to Laura Perille is premature. But the system’s superintendent search needs clearer focus and commitment. All superintendents, interims and permanents, share a duty that is reflective of the work of public education. We do this work in the hope that those who will succeed us are poised to build upon our progress and continue the momentum. The importance of advancing the work in the time we have is evident in every interaction I observe between students and the teachers, paraprofessionals, staff members, and administrators with whom it is my distinct honor to serve. And it is that principle that will guide me throughout my time as the leader of the Boston Public Schools. 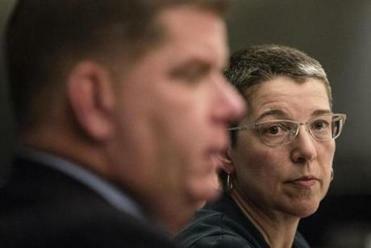 Laura Perille is interim superintendent of the Boston Public Schools.